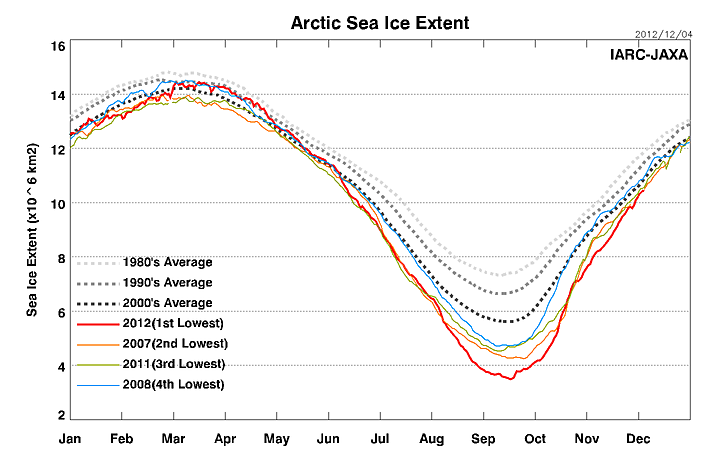 Most Arctic sea ice occupies an ocean basin largely enclosed by land. Because there is no landmass at the North Pole, sea ice extends all the way to the pole, making the ice subject to the most extreme oscillations between wintertime darkness and summertime sunlight. Likewise, because the ocean basin is surrounded by land, ice has less freedom of movement to drift into lower latitudes and melt. Sea ice also forms in areas south of the Arctic Ocean in winter, including the Sea of Okhotsk, the Bering Sea, Baffin Bay, Hudson Bay, the Greenland Sea, and the Labrador Sea. 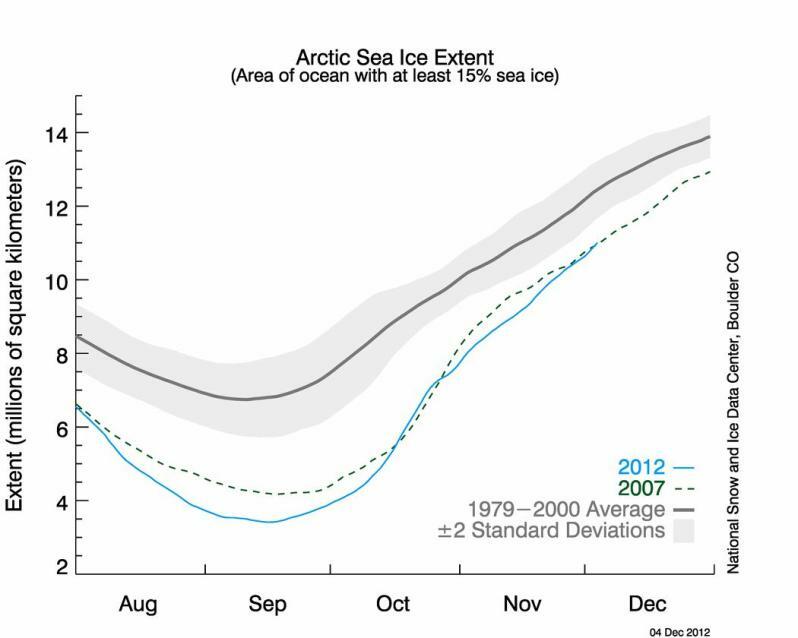 Scientists tend to focus on Arctic sea ice extent more closely than other aspects of sea ice because satellites measure extent more accurately than they do other measurements, such as thickness. 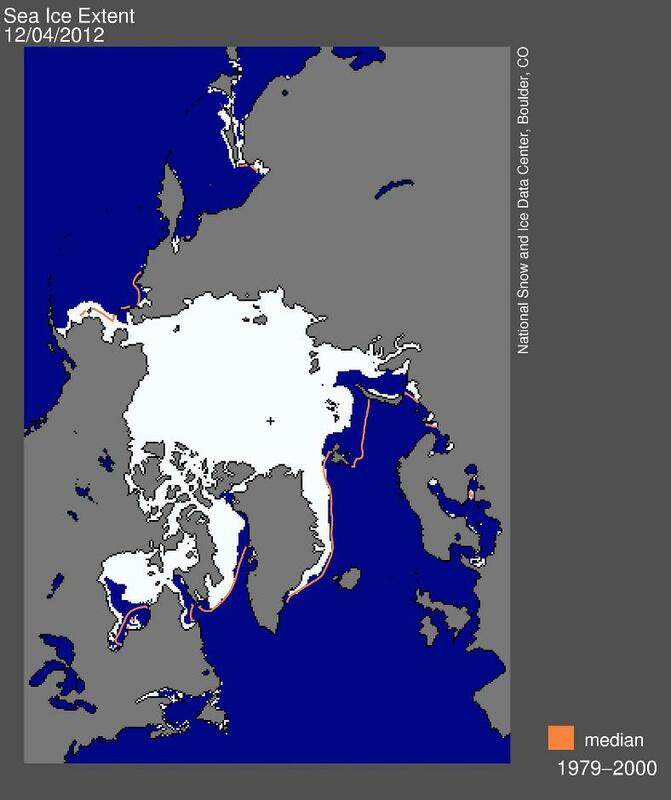 Projected effects of declining sea ice include loss of habitat for seals and polar bears, as well as movement of polar bears onto land where bear-human encounters may increase. Indigenous peoples in the Arctic who rely on Arctic animals for food have already described changes in the health and numbers of polar bears. As sea ice retreats from coastlines, wind-driven waves—combined with permafrost thaw—can lead to rapid coastal erosion. Alaskan and Siberian coastlines have already experienced coastal erosion. Other potential impacts of Arctic sea ice loss include changed weather patterns: less precipitation in the American West, a weaker storm track that has shifted south over the Atlantic, or (according to one simulation) an intensified storm track. Some researchers have hypothesized that melting sea ice could interfere with ocean circulation. In the Arctic, ocean circulation is driven by the sinking of dense, salty water. A cap of freshwater resulting from rapid, extensive sea ice melt could interfere with ocean circulation at high latitudes. Although a study published in 2005 suggested that the Atlantic meridional (north-south) overturning circulation had slowed by about 30 percent between 1957 and 2004, that conclusion was not based on comprehensive measurements. Subsequent modeling analyses indicated that the freshwater from melting sea ice was not likely to affect ocean circulation for decades.